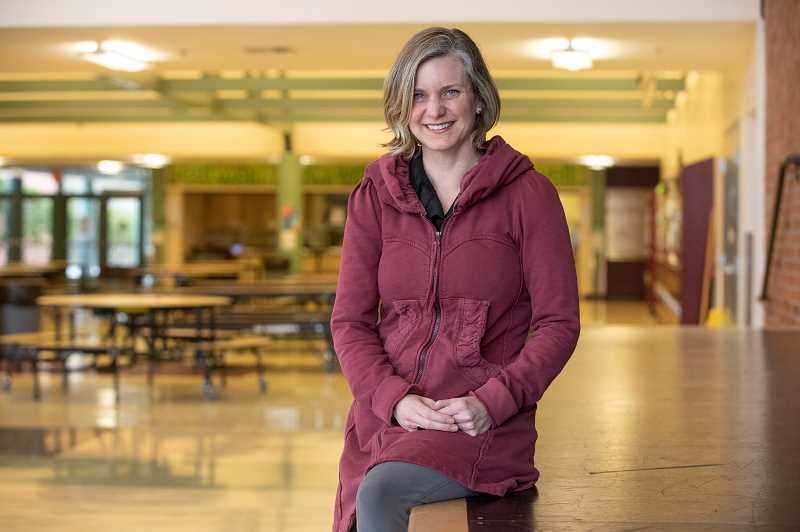 West Linn-Wilsonville School Board member Chelsea King Martin has announced her intention to seek re-election for another term. Though Clackamas County only opened candidate filing for spring elections Feb. 11, King Martin does not expect to go unchallenged in her race to reclaim her seat on the board. "Last election cycle there were three seats and all three were contested, but I won't know until the filing deadline closes," King Martin said. The other board seat up for election this spring, position four, currently belongs to Betty Reynolds. King Martin, who owns her own organizational development consulting business, is a parent of one student at Meridian Creek Middle School and two at Wood Middle School. King Martin said her involvement with the WL-WV School District began as a classroom volunteer at Lowrie Primary when her son started kindergarten there. Her interest with the school board was first stoked when the district cut the dual language program he was about to enter. "I organized with some parents to start a charter school called the Language Academy. We submitted our charter to the district and got our first 'no' and then shortly thereafter, the district decided to reinstate the language program," King Martin said. "At that point I was very interested in the role the school board has in deciding programing and how much input parents have in shaping the programing in our schools and the interface between parents and the school board and the driving vision of the school district." King Martin went on to become president of the Parent Teacher Association (PTA) at Lowrie, was named Oregon PTA local leader of the year, served on the WL-WV budget committee and then ran for the school board in 2015. "The more time I spent in the schools as a classroom volunteer and as the PTA president, the more in awe I was of what happens in our schools every day and the more I grew to love the students and really admire what the teachers are doing every day in the classrooms and really respect what the administrators are doing, the number of hours and dedication and intellect that they invest," King Martin said. "And I wanted to be a part of that system, of that phenomenon." King Martin is running for a second time because she wants to stay around the work being done and the inspiring people who are doing it. "The caliber of people who lead our school district is very high. They are amazing. They're super smart. They're organized. They're thoughtful. They've been doing this for a very long time. They make me a better professional and a better human," she said. If elected to a second term, King Martin would like to focus on supporting Superintendent Kathy Ludwig in her goals, closing the achievement gap for students of diverse backgrounds and continuing to foster communication between the board and the community. "Research shows how important the relationship between a school board and a superintendent is in the longevity of the superintendent's career and the overall functioning of the school district," King Martin said. "I was part of the school board that hired Kathy Ludwig. I feel deeply connected to her. I'm really impressed by her and inspired by her vision." In a second term, King Martin would like to close the disparity in achievement for disadvantaged students. "We have improved our graduation rates in the state of Oregon and in our school district but that only applied to students who didn't qualify for free and reduced lunch and our white students and our native English-speaking students," King Martin said. "So, I'm really curious in continuing to unpack where are we falling short in our schools in serving all of our students and creating classroom experiences, adopting curriculum that speaks to all of our students? I want to see that achievement gap close." Lastly, King Martin wants to continue to foster the communication between board and community that first piqued her interest in becoming more involved in the school district. "I have seen the level of public engagement in the processes that the school board is engaged in really increase the past year and a half or so and I think that's reflective of the efforts we're making on the school board around board goal No. 3, to be more accessible to the public. I think it's also indicative of a general tide of interest in government that's occurred nationally," she said. Candidate filing for the West Linn-Wilsonville school board elections opened Feb. 11 and closes March 21. The filing form can be found on the elections page of Clackamas County's website. There is a $10 filing fee. Candidates must be registered to vote within the WL-WV School District.